Our carpet was uncleaned for 1.5 years with three kids and a puppy making plenty of messes, Coos Carpet’s Nathan swooped in and cleaned it to perfection. There were so many stains and it looks like new now!!! They were timely and efficient! Thanks for our new carpet! See you again in 6 months!!! // Cori C.
“Very professional, polite and thorough. My carpets look new again and make me feel very good.” // Sharon R.
“Very happy with service. Came on time, friendly and helpful. Shampooed and removed cat stains from carpet. Even gave me a bottle of cleaner to use when needed. Carpet looks great and nap show less wear. 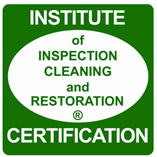 I am going to get them to clean my recliner chairs next!” // Robin G.
“Very good – Nice job and was careful with my furniture. My carpet was dirty and now it is clean – I can tell my air is cleaner and the dust level is a lot better.” // Shelley N.
“I have nothing but good to say about this experience. Excellent service that I will highly recommend to others.” // Donna R.
“Nathan was on time and very friendly, answering all my questions…. The carpets are super clean as Nathan removed several stains (hot black coffee) that I couldn’t remove. I would defiantly recommend Coos Carpet Care to anyone looking for a good deal well done.” // Chris W.